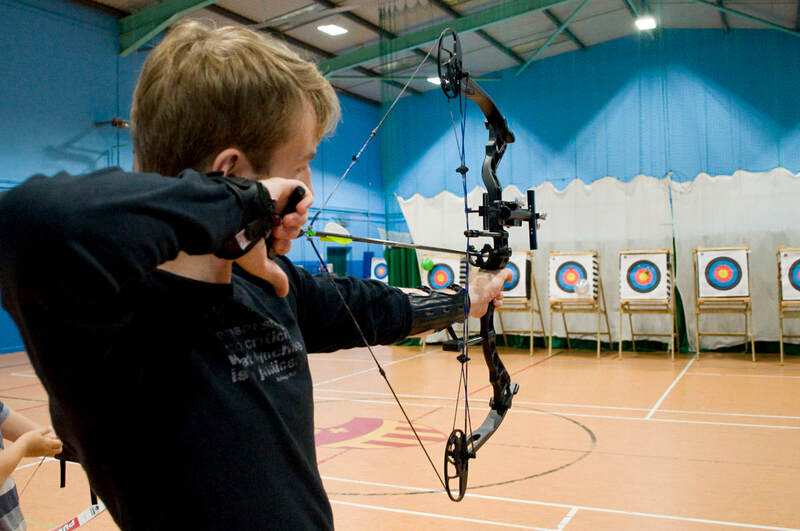 We are pleased to be able to offer a variety of amazing archery and shooting experiences - these activities are available as add-ons to a normal beginners' club session, as an unforgettable party experience, or as one-to-one tuition. Archery continues to be a popular film and TV theme, and here's your chance to see what all the fuss is about! 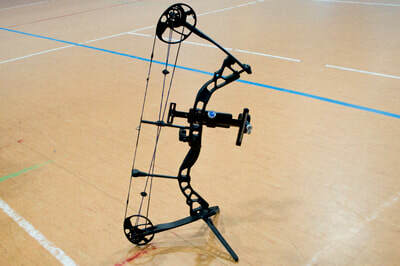 The club is delighted to have access to a rare Hoyt Buffalo of the same type and specification as was used for Katniss Everdeen's "Arena Bow" in the Hunger Games: Catching Fire. 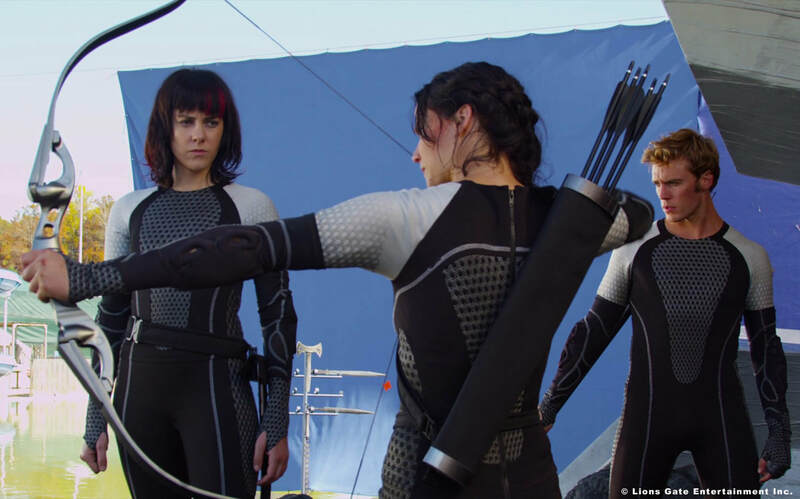 Unlike most of the bows produced for the Hunger Games films, the Arena Bow was not a prop but a real bow (and a great one too!). We even have the same arrows (Eclipse X7s) as were used in the film. For this experience we will teach you the basics of barebow archery, then get you shooting 'instinctively' with a traditional horse bow and back quiver, and once you've got the hang of the basics, you'll spend the rest of the session shooting the Arena Bow - you'll be using exactly the same kit that Jennifer Lawrence used on the film set! 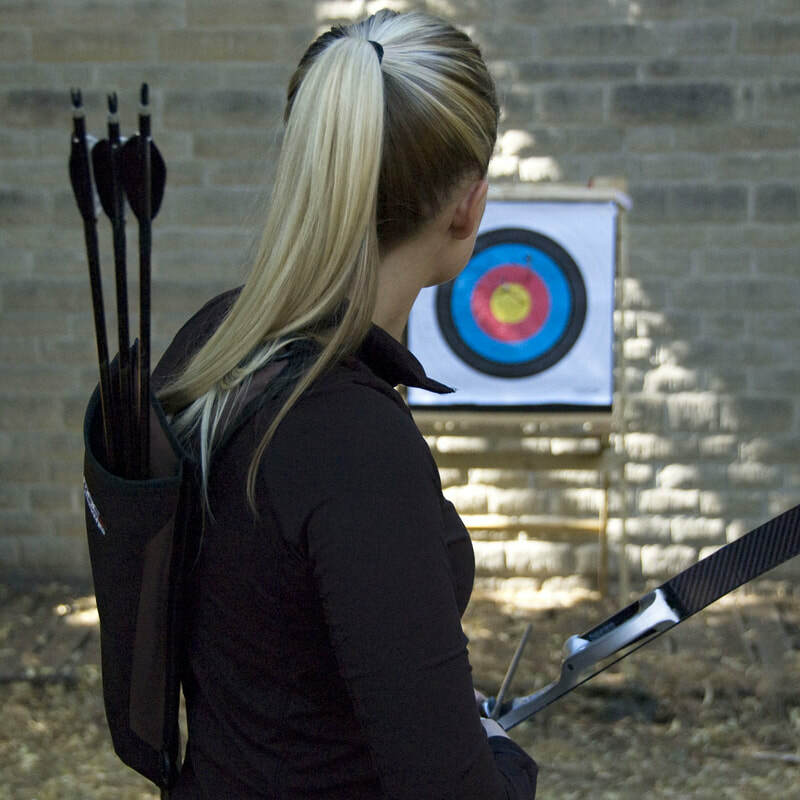 Our Arena Bow has a 20# draw weight, so is suitable for approximately ages 12 and up, depending on the participant's strength. The bow is right-handed only (sorry lefties!). This experience costs £5 in addition to the normal session fees. It is available at most open sessions on a first-come-first-served basis, but please contact us in advance if you want to check availability or book the Arena Bow experience for a particular date. This activity is also available at parties and for one-to-one tuition. Please contact us at [email protected] for further information. "The Hunger Games" terminology and imagery is copyright of Lions Gate Entertainment Inc. It is mentioned here for reference purposes only, and no connection with or endorsement of this activity by Lions Gate Entertainment Inc. is intended. Compound bows are a (relatively!) new development in the ancient art of archery - their design provides more power and greater accuracy than traditional bow designs, but they are also more complex, expensive and they need to be set up carefully for each archer. 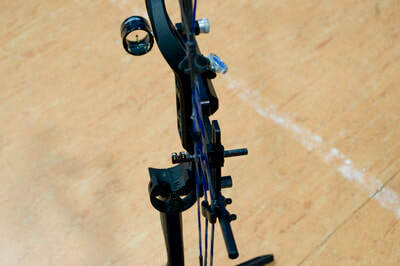 Due to the design of the cams and the "let-off" as the bow is drawn, they feel completely different to a normal bow. However, their phenomenal power and accuracy, combined with near silent operation, is certainly...entertaining! The club has a Bowtech Diamond Infinite Edge Pro, which is notable for it's huge adjustment range. Draw weight can be set from a kid-friendly 10lbs up to a ridiculous 70lbs, and draw lengths from 13" right up to 31", making it just about the most versatile compound bow available. Our Infinite Edge is fitted with a scope and rifle-style sights (rather than a peep sight) which eliminates the need for peep adjustments, simplifying setup for different people. This experience is perfect for anyone wanting to try compound archery before committing to buying a bow. 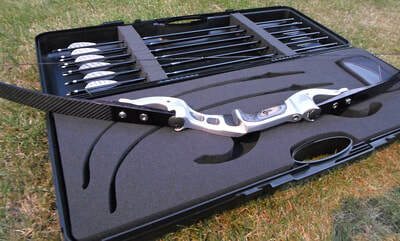 We will set the bow up for your specific draw length and take you through the basics of shooting a compound bow safely. You can then try both a finger release aid and a wrist release, and then start cranking up the power! This experience costs £5 in addition to the normal session fees. 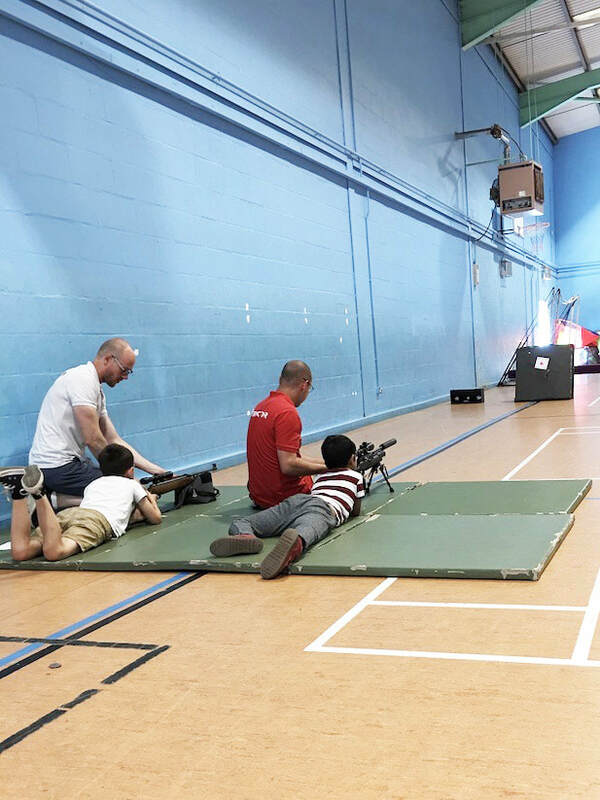 It is available at most open sessions on a first-come-first-served basis, but please contact us in advance if you want to check availability or book the Compound Bow experience for a particular date. Please note that this bow is right handed; however most lefties can shoot a compound bow right handed well enough to get an idea of whether they like it! This activity is also available at parties and for one-to-one tuition. Please contact us at [email protected] for further information. 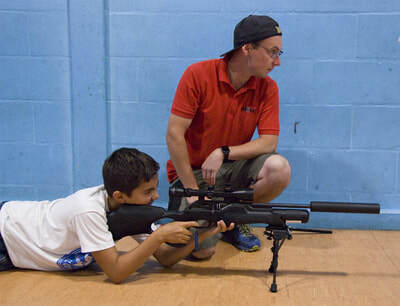 We are delighted to be able to offer air rifles now at many of our Sunday sessions. 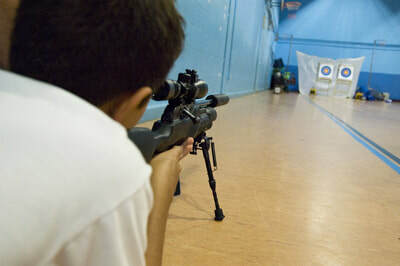 Air rifles are an excellent way to learn the basics of safe shooting technique. 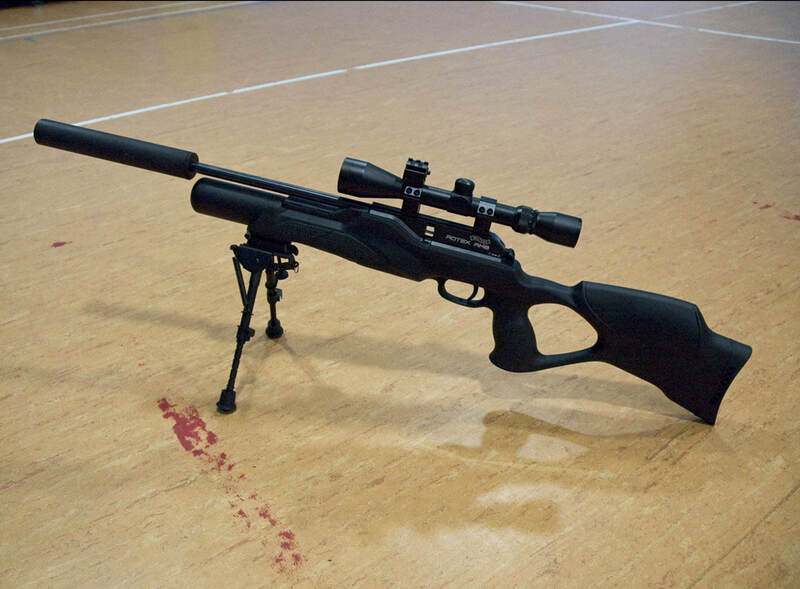 The club has two rifles - a traditional single-shot spring-action rifle, and a modern 8-shot bolt-action pre-charged pneumatic rifle. Both have telescopic scopes, and can be shot at standard paper targets (which can be taken home as a souvenir) or dynamic knock-down metal targets. Our instructor is National Small-bore Rifle Association accredited and full insurance cover is provided. The minimum age for this activity is 9 years. This experience costs £5 in addition to the normal session fees (£5 for first magazine [8 shots] and then £3 for each additional magazine). 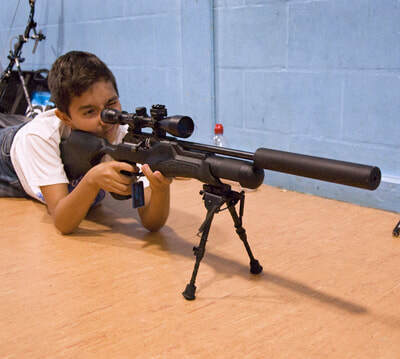 It is available at many of our open sessions on a first-come-first-served basis, but please contact us in advance if you want to check availability or book the Air Rifles experience for a particular date. This activity is also available at parties and for one-to-one tuition. Please contact us at [email protected] for further information.